In two previous installments (found here and here), I’ve talked about the early Indianapolis’ Auto Row along Capitol Avenue. But that is only part of the story. As the commercial district expanded north of Monument Circle, automotive retailing soon followed. 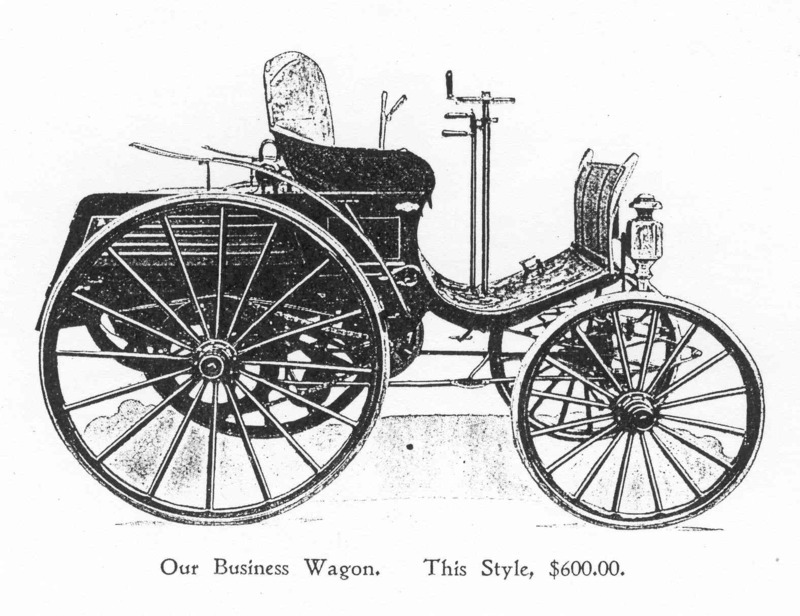 The automotive industry was lightly represented along North Illinois Street from 1900 – 1925. The Maxwell-Briscoe Company opened its showroom at 363 North Illinois Street in 1908. 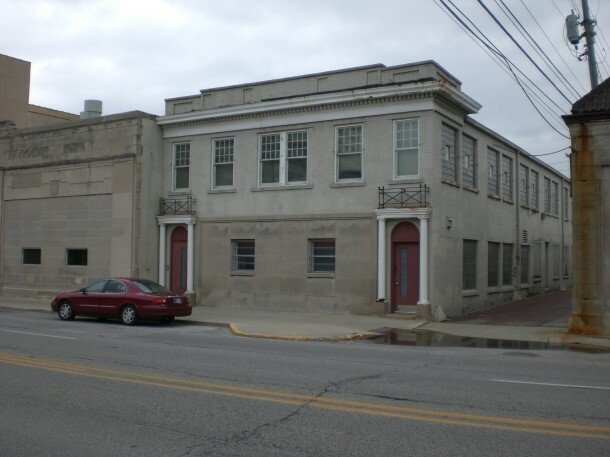 This is the oldest existing automotive dealership building in Indianapolis (current site of Acapulco Joe’s). Just across the street in the previous Fisher Automobile Company location at 330 North Illinois Street, a number of automotive firms occupied the building from 1910 through the mid 1920’s with names like Willis-Holcomb, Walter Overhoiser, and Citizen’s Auto & Garage. At the end of the 1910’s and beginning of the 1920’s, new showrooms were built along North Meridian Street, the primary north-south artery leading to the northern “suburbs” and carrying a large amount of pleasure and commuter traffic. In the early 1910’s, the Nordyke and Marmon Company had its factory showroom at the southwest corner of Meridian and New York streets. 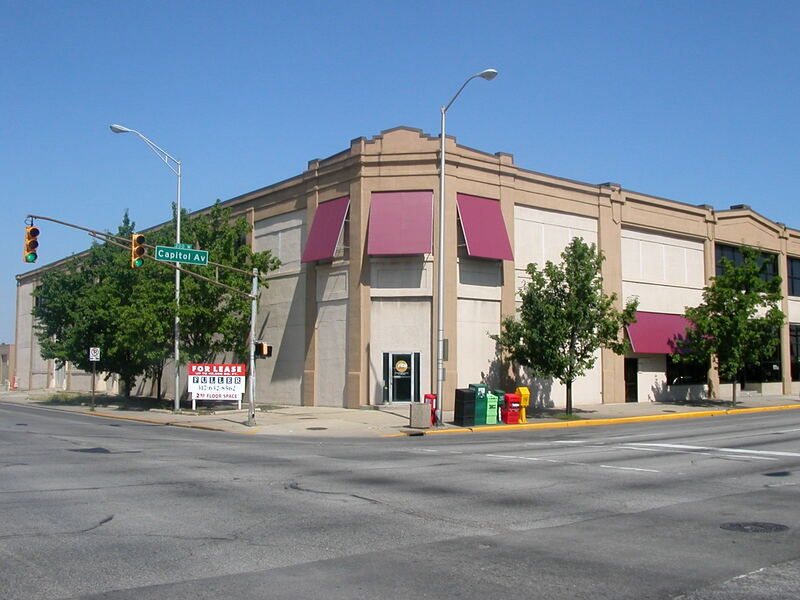 The Charles E. Stutz Sales Company building at 850 North Meridian Street was built in 1919. 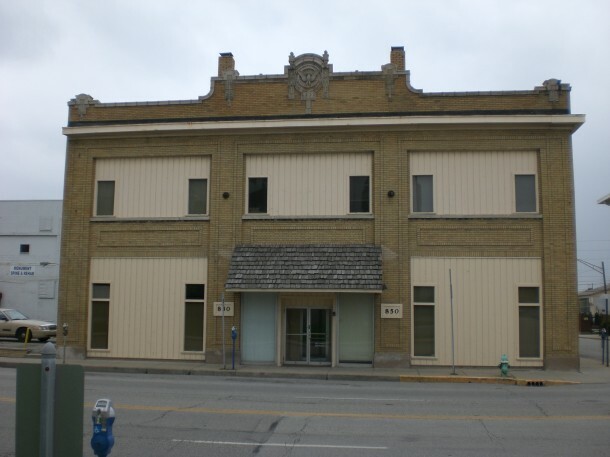 The Stutz Sales building, designed by Rubush and Hunter, featured a central terra cotta medallion bearing an eagle with spread wings in relief, identical to the medallions of the Stutz factory buildings on Capitol Avenue. The sales company operated until 1924. The Wildhack Automobile Company building at 927-931 North Meridian Street, constructed in 1918, illustrates the new trend toward a more commercial style. The display window consisted of a multipaned bay window in the center of the west façade. The Wildhack showroom was smaller, yet exhibited more decorative detailing than those along Capitol Avenue. The façade did not visually reveal the automotive retail function of the building. In addition, the façade did not indicate that the upper floor was used for display and sales of used cars. The overall appearance portrayed a commercial and office structure. 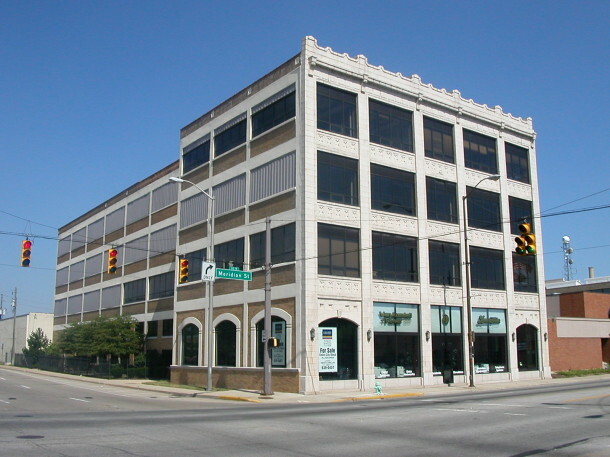 A little farther north at 1200 Meridian Street was the Lexington Motor Sales Company of Indianapolis, home of the Lexington line of Indiana-built automobiles from 1921 to 1927. When originally opened, architects praised the building as the handsomest and most complete of its kind in the Midwest. The four-story building covers an area of 220 x 70 feet, and originally cost over $500,000 to construct. The light brown terra cotta front was acclaimed for the glass area that was so expansive that daylight reached every corner of the building. Display rooms and offices occupied the front half of the first floor. The display floor was flanked by two staircases that lead to the mezzanine for the director’s rooms and other offices. Used car display, machine shop and parts department occupied the second floor. The third floor was used entirely for new car storage. The whole fourth floor was arranged so that an automobile could be completely built and finished on one floor. The General Motors Buick showroom at 1302 North Meridian Street was built in 1923, of concrete, brick and terra cotta. Building features included a magnificent, flared, grand central staircase to the second floor, Buick logos cast in the column capitals, and tiled showroom floor. The “Mushroom” support column design is often associated with Frank Lloyd Wright. In the early twentieth century, the primary location of most early showrooms was in “Auto Row” bounded by 16th Street on the north, Meridian Street on the east, New York Street on the south, and Capitol Avenue on the west. A number of architecturally interesting buildings built at that time exist today. I remember an old auto showroom by the downtown library. It was a two-story brown brick building with a lot of interesting terra cotta details. Unfortunately it had been abandoned for years and was falling down with vines growing around it. Would have been demolished sometime in the 1970s. Wish now that I’d taken a picture or two of it. I used to work in the Wildhack Building. Odd, but I never would have guessed that it was ever used to sell cars. I would also swear that the upper floor was wood, not steel and concrete. At some point (back in the vinyl days, I think the upper floor had been used as a radio station, complete with a claustrophobic DJ broadcasting booth. Just a thought. 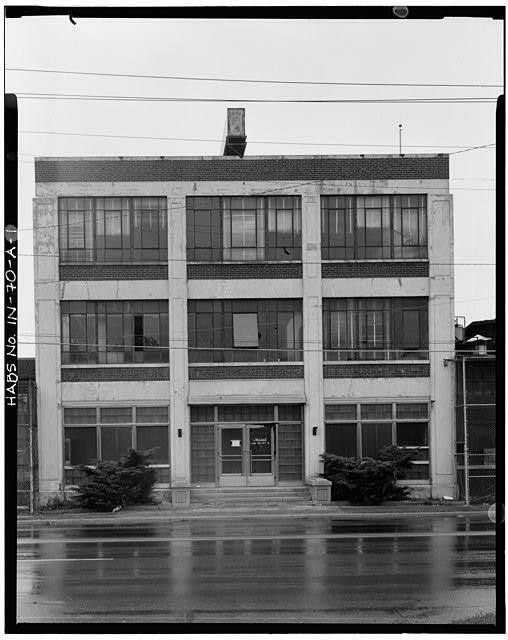 Perhaps the Wildhack Automobile Company was in the adjacent 935 N. Meridian building? You can see part of it in your picture, and the facade looks more like it had once had large picture windows. The only drawback is that it did not have a second floor when I knew it back in the 90s. Thank you for your comments. The 1920 Indianapolis directory shows the Wildhack Automobile Company at 927-931 N. Meridian St. A copy of a 1918 photo of the agency shows the display room bay window between the two doors on the first floor, which today has two small windows in the limestone facade. The second story had offices behind the six windows in the front part. Behind the offices was a store room. In the back half of the second floor was another store room with a large elevator to the shop on the first floor. Floor plans for the building were published in American Architect, September 4, 1918. They list Fermor Cannon as the architect. Very interesting, Dennis. I see what you mean now about the space between the doors. The first floor was concrete, so weight would not have been an issue. The “offices” were still used as such in the mid-90s, and I recognize what would have been the “store room”, which was partially the “studio” of whatever radio station that had later inhabited that space, however briefly. The elevator was long gone and the interior was changed enough to make it’s place unrecognizable to me.Still, it would not have been an overly large space, width-wise. Another great bit of history! Thanks! I used to work in the Wildhack Building. Odd, but I never would have guessed that it was ever used to sell cars. I would also swear that the upper floor was wood, not steel and concrete.